O’Dea High School has a storied athletic tradition, but here’s the question: Who is the most significant athletic figure in the institution’s history? O’Dea High, the only all-boys school in the state of Washington, is on First Hill overlooking downtown Seattle. St. James Cathedral is across the street, Seattle University is three blocks away. The school’s central location allows for a student body drawn from the entire metropolitan area, including more than 450 from 89 zip codes. O’Dea is named in honor of Edward John O’Dea, a Catholic bishop in Seattle when the school was built in 1923. Also responsible for building St. James Cathedral, which opened in 1907, the Rev. O’Dea served in his capacity until his death in 1932. In its series of periodic looks at Seattle-area high schools, Wayback Machine is attempting to identify the most significant athletic figure in O’Dea’s storied history (for examples, see Wayback Machine: The Best Of . . . Franklin High . . . Garfield High or Roosevelt High). As with the other schools in the series, the individual might be an athlete, coach, administrator, mover-and-shaker at large, or even a sports journalist. The only qualifier: the school must boast at least a half-dozen distinguished sports graduates among its population of outstanding alums. As such, Gordon officially welcomed to town dignitaries such as Presidents Truman, Eisenhower, Johnson, Kennedy, Nixon, Ford and Carter, as well as the Queen of England. Gordon also became a consultant for the state’s Department of Commerce at the time of the Seattle World’s Fair and helped design the Plaza of the States program in 1962. In 1965, Gordon became the first executive director of the Washington State Restaurant Association, a post he held until retiring in 1990. O’Dea’s sports tradition dates to the days of Joe Budnick, a three-sport (football, basketball, baseball) star in the 1930s, who became one of the longest-tenured coaches in Pacific Northwest history, instructing young men in a variety of sports for more than five decades. Since then, O’Dea has graduated a numerous athletes who went on to establish national and international reputations, including Olympic sprinter Charlie Greene, basketball and football stars Clint Richardson and Nate Burleson, PGA Tour icon Fred Couples and, most recently, soccer star DeAndre Yedlin. Listed alphabetically, the following are the most decorated O’Dea alums whose careers were largely, if not entirely, sports-based. At the end of this Wayback Machine, we’d like you to submit your choice for the most prominent and then leave a comment explaining your reasoning. Frank Bosone (Basketball, Track, Baseball): After starring in three sports at O’Dea, notably setting track records in sprint races, Bosone accepted a combination basketball and track scholarship to the University of Portland. As three-year starter for the Pilots basketball team, Bosone made Catholic Digest All-America in 1961 and All West-Coast honorable mention in 1960 and 1961. Bosone also held sprint and relay track records at Portland, which went unbroken for 18 years. After graduation, Bosone became a basketball referee. During his 35-year career, he officiated more than 1,400 Division I games and 19 NCAA tournaments, including the national championship game in 1990. 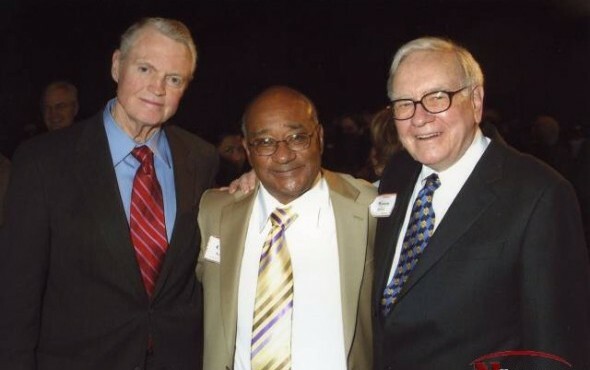 Also a successful businessman, Bosone was inducted into the University of Portland Hall of Fame for basketball and track and field in 2005. Nate Burleson (Football): After earning eight letters in football, basketball and track at O’Dea and winning City Athlete of the Year accolades by The Seattle Times in 1999, Burleson enrolled at the University of Nevada after failing to receive a scholarship offer from the University of Washington. At Nevada, Burleson became a finalist for the 2002 Belitnikoff Award, presented annually to the nation’s top receiver, and was selected in the third round of the 2003 NFL draft by the Minnesota Vikings. He produced his best NFL season in 2004, when he caught 68 passes for 1,006 yards and nine touchdowns. Burleson signed with the Seahawks as a free agent in 2006 and in four years caught 136 passes for 1,758 yards and 15 touchdowns. In 10 NFL seasons (also three years with Detroit), Burleson scored 39 touchdowns. Burleson led the NFL in punt returns in 2007, returning 58 for 658 yards, including a 94-yard touchdown Nov. 4 against the Cleveland Browns. 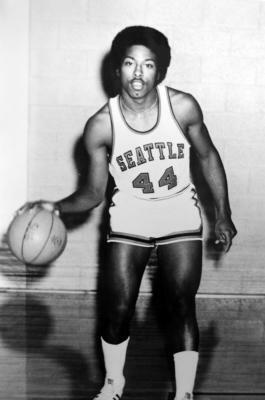 Burleson is the son of Al Burleson, who starred for the University of Washington in the mid-1970s. 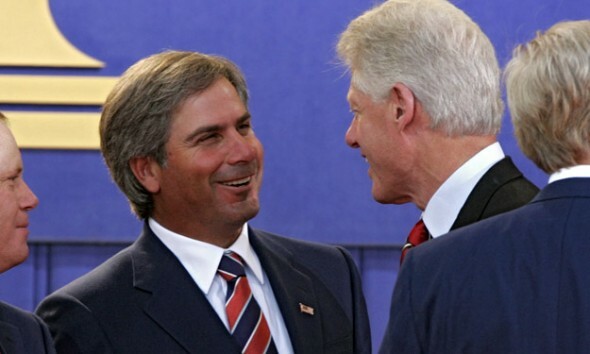 Fred Couples (Golf): An outstanding junior player at Jefferson Golf Course, Couples came to O’Dea and won numerous league and state golf honors, including the Washington State Open in 1978. Couples attended the University of Houston from 1977 to 1980 on a scholarship, and began his professional career immediately thereafter. Since turning professional in 1980, Couples has amassed 15 PGA Tour victories, including The Players Championship twice (1984 and 1996), and the Masters Tournament in 1992. Couples earned PGA Tour Player of the Year honors twice, in 1991 and 1992, also winning the Vardon Trophy both years for the lowest scoring average. Couples has participated in numerous international tournaments, including five selections to the U.S. Ryder Cup team. 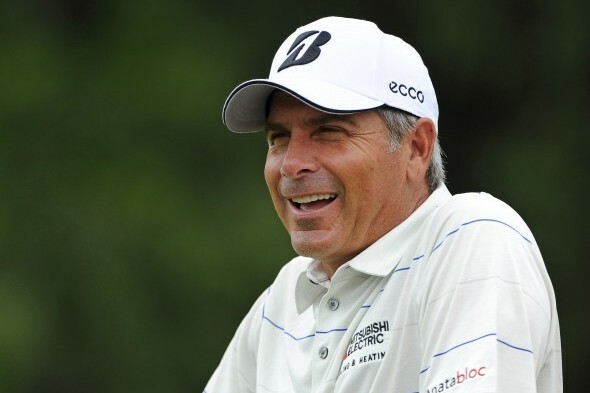 Couples made his debut on The Champions Tour in 2010, and is an annual participant in the Boeing Classic. Demetrius DuBose (Football): A three-year, three-sport letterman at O’Dea, Dubose starred in football, basketball and track and field. He specialized in football, earning All-State honors in 1989, when he was named to play in the East-West All-Star Game and won the Gatorade Player of the Year award. In DuBose’s senior year, he also ranked second in the state in the shot put and discus. Dubose attended the University of Notre Dame where he was awarded a full athletic scholarship to play football. He was a two-year starter at linebacker, team captain (1992), played in four post-season bowl games and earned All-America recognition in 1992. Selected by the Tampa Bay Buccaneers in the second round of the 1993 NFL draft, and later a member of the New York Jets, DuBose had a tragic ending. On July 24, 1999, he was shot to death by San Diego police officers while committing a burglary. Pat Brady (Football, Basketball, Baseball): A three-sport star at O’Dea, Brady distinguished himself in 1943 when he returned a punt 75 yards against Everett High, the longest such play in state high school history up to that time. Brady attended the University of Nevada, where he had a 99-yard punt against Loyola Los Angeles. Brady completed his collegiate career at Bradley University in 1951 and later played for the Pittsburgh Steelers. He led the NFL in punting average five times from 1952 through 1956, until an injury ended his career. Brady is a member of the Bradley University Hall of Fame, the University of Nevada Hall of Fame and was named to the University of Nevada’s Team of the Century, and to the Pittsburgh Steelers 50th Anniversary team. Joe Budnick (Football, Basketball, Baseball): A 1935 graduate, Budnick earned 10 varsity letters and captained both the football and basketball teams during his junior and senior years. He began his coaching career almost immediately after graduation and spent five decades as one of the premier amateur baseball coaches in the Pacific Northwest, starting with the Knights of Columbus American Legion baseball team. As far his own athletic career, Budnick accepted a football scholarship to the University of Washington and later transferred to Seattle University where he played basketball. 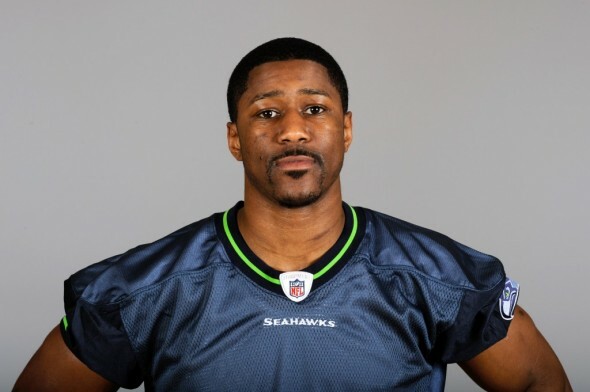 Nate Burleson starred at the University of Nevada after his O’Dea days and then had a pro career with Minnesota, Seattle, Detroit and Cleveland. Budnick also played in semipro basketball and baseball leagues before beginning his 50-year coaching career in earnest. He headed high school programs in various sports at a number of high schools, including football at O’Dea, but became most notable for directing local amateur and semipro baseball teams, including the Cheney Studs. Budnick also coached baseball at the University of Washington (head coach in 1956), and at Edmonds Community College (as an assistant from 1986-1989). 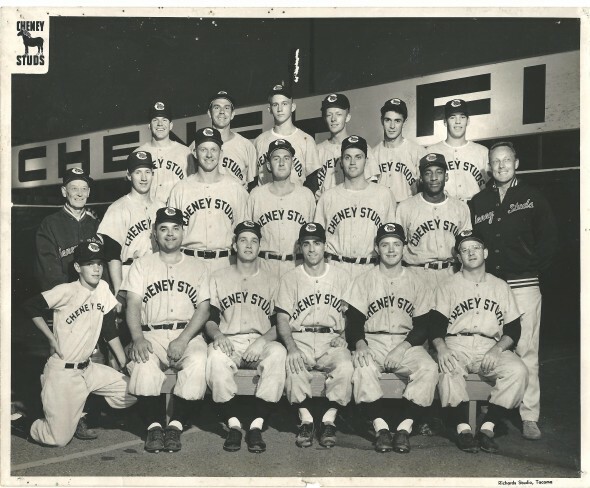 Budnick led the Cheney Studs to several regional titles and won the world’s amateur championship in 1960 with a record of 27-1. He was nominated as the Seattle Post-Intelligencer’s “Man of the Year” in 1960. Following a stint in the U.S. Navy during World War II, Courage played football at Santa Clara University and also played baseball for Portland of the Pacific Coast League. William Farrell (Wrestling): A 1947 O’Dea graduate, Farrell also lettered in football and went on to a career as an Olympic medal-winning wrestling coach and national wrestling champion. He attended Ventura College (CA), St. John’s and Hofstra universities, and later competed in wrestling for the New York Athletic Club from 1956-1968, where he compiled a 335-10-4 record. Farrell was an alternate for the Pan Am Games in 1959 and an alternate for the U.S. Olympic team in 1960. He was a national champion in 1962 and placed sixth at the world championships. Farrell served as U.S. national team coach for four years, leading his team to a second-place finish at the world championships. He was also the freestyle coach at the 1972 Olympics, winning six medals. Farrell won the Wrestling Man of the Year award in 1973, and is a member of both the Helms Hall of Fame and the National Wrestling Hall of Fame. Later, he founded Universal Fitness Products. Charlie Greene (Track & Field): An outstanding sprinter and long jumper for O’Dea, Greene achieved prep All-America status for his 9.4-second time in the 100-yard dash in 1963. He then developed into one of the world’s top sprinters in the 1960s wile competing for the University of Nebraska. 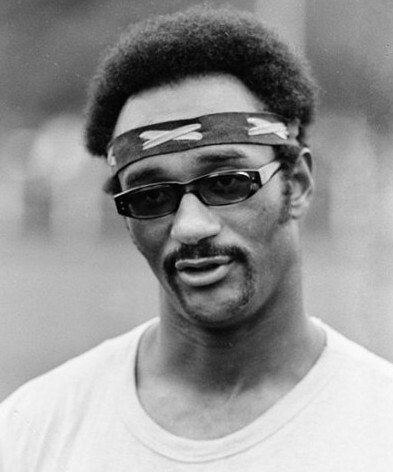 The 5-foot-8, 148-pound Greene captured six NCAA titles in the 60-yard and 100-yard dash (9.21 seconds), won a bronze medal in the 100 at the 1968 Mexico City Olympics and was a member of the USA’s gold-medal winning 400-meter relay team. Prior to the Mexico City Games, Greene set world records at 100 yards and 100 meters. Following his athletic career, Greene became a career Army officer, also serving as sprint coach at West Point and head coach of the All-Army team. After retiring with the rank of major, he became a director for Special Olympics International and is still active in the sport. 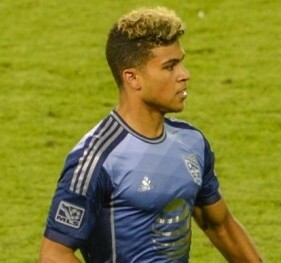 DeAndre Yedlin signed with the Sounders as a Homegrown Player in 2013 and made the MLS All-Rookie team. Taylor Mays (Football): Mays graduated from O’Dea as one of its most decorated players, earning 2005 Parade All-America honors as well as the following: USA Today All-USA first team, EA Sports All-America first team, Super Prep Elite 50, Prep Star Dream Team, ESPN 150, Super Prep All-America, Prep Star All-America. Mays was also selected to the Long Beach Press-Telegram Best in the West first team, the Orange County Register Fab 15 first team and to the Tacoma News Tribune’s Western 100. Mays ran track (best of 10.88 in the 100 meters) at O’Dea, where he was a two-time (2004-05) state 3A champion in the 100 and 200 meters. The son of former University of Washington nose tackle Stafford Mays, Taylor played defensive back, wide receiver and quarterback at O’Dea, after which he accepted an athletic scholarship to Southern California. A three-time All-America for the Trojans under head coach Pete Carroll, Mays went to the San Francisco 49ers in the second round of the 2010 NFL draft. He plays for the Cincinnati Bengals. Pat Raney (Soccer): Raney, who became a member the O’Dea faculty in 1991, had a long association with the school prior to that, serving as head coach of the varsity soccer team beginning in 1972. Under his direction, Raney’s teams won more than 430 games, 14 Metro League titles and the state championship in 1990. Raney produced the longest tenure of any soccer coach in state prep history and was selected state Coach of the Year twice (1984 and 1996). He coached hundreds of all-league players, many of whom went on to play at the collegiate level and beyond. In addition to coaching at O’Dea, Raney coached soccer for CYO (30 years) and Seattle University (five years). A Spokane native, Raney graduated from Gonzaga High School and later moved to Seattle, finishing his college course work at Seattle University. Yedlin so impressed during last summer’s World Cup in Brazil that he received a four-year contract from Tottenham Hotspur of the Premier League. Clint Richardson (Basketball): Twice an All-State player (Class of 1975) from 1973-75, Richardson averaged a record 34.1 points per game in his senior year and finished his career as the all-time leading scorer in state prep history. Richardson attended Seattle University, where he was awarded first-team West Coast Athletic Conference honors all four years, and finished as the school’s all-time leading scorer. After college, Richardson played for Philadelphia 76ers and was a member of the 1983 NBA championship squad. Richardson was traded to the Indiana Pacers in 1986 and played eight NBA seasons from 1980 to 1988. Following his NBA career, Richardson played professionally in Greece and Italy. Richardson’s younger brother, Keith (1976), who starred as a receiver at the University of Washington, is also a member of O’Dea’s Athletic Wall of Honor. Keith Richardson (Football, Track and Field): A three-sport star and all-state performer at O’Dea, Richardson became a two-sport phenom after he accepted an athletic scholarship to the University of Washington. A three-year letterman flanker, Richardson was a member of Husky teams that defeated Michigan in the 1978 Rose Bowl and Texas in the 1979 Sun Bowl. Teammates voted Richardson best all-around athlete on the 1978 Rose Bowl team. Richardson also lettered in track, competing in the triple jump. After graduation, Richardson signed pro football contracts with the Buffalo Bills (NFL), and Ottawa Rough Riders (CFL). Richardson also played semi-professional football for 15 years in the Northwest Football League. 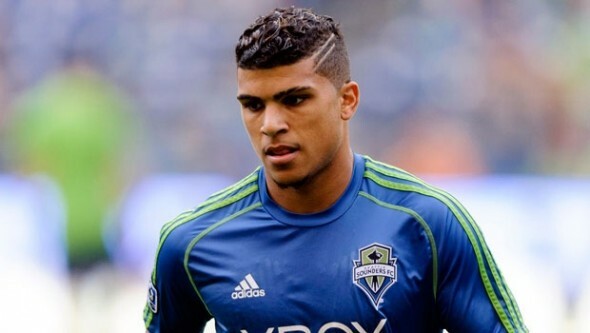 DeAndre Yedlin (Soccer): Following his O’Dea career, the product of Washington Youth Soccer’s State Olympic Development Program (2006-09) became a two-time All-MAC first-team selection at the University of Akron and then signed as a Homegrown Player with Seattle Sounder FC Jan. 21, 2013. Later that year, the became the first rookie to make the MLS All-Star team since 2005. Yedlin, a defender who scored his first MLS goal July 20, 2013 against the Colorado Rapids, came to international prominence in the summer of 2014 with a breakout performance in the World Cup in Brazil. In his first World Cup appearance, against Portugal, Yedlin entered as a late, second-half substitute and helped set up Sounders teammate Clint Dempsey’s goal that gave the United States a 2-1 lead. Largely as a result of his play in the World Cup, Yedlin signed a four-year contract with Tottenham Hotspur of the Premier League, agreeing to join the club in 2015. Yedlin might eventually be–but it’s way too early in his career to tell. Almost wish I could change my vote. I committed the sin of voting before reading all the bios and choosing the name with the most current impact. Should’ve read about Charlie Greene first, but I can’t feel bad about going with a Masters champ and two-time PGA Player of the Year. Good work, guys…next time I won’t jump to conclusions by actually waiting to vote. BTW, an added note on Frank Bosone: Besides being a basketball ref for many winters (a real pro…I was a PA announcer in high school where he officiated a number of times), Frank also spent several years as Executive Director of the NW Athletic Association of Community Colleges when it was based in Bellevue in the 80’s and 90’s. Good guy and a class act.